Following a train accident, it’s not unusual for injured victims to be confused as to how the accident happened and who is responsible. While the train operator as well as relevant government entities will surely launch their own investigations, you don’t necessarily want to rely on their conclusions when it comes to justifying your need for compensation. You can rely on Attorney Vargas to help you thoroughly document your injuries and their impact on your life so that you can secure full and fair compensation. What If I’ve Received a Settlement Offer? Do I Still Need a Train Accident Attorney? If the train company refuses to cooperate, litigation may be necessary. 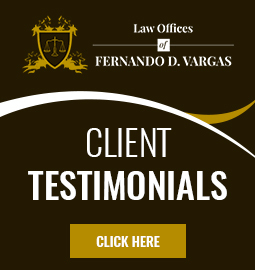 Attorney Vargas is a seasoned litigator who will fight equally aggressively for you in or out of court. At The Law Offices of Fernando D. Vargas, we take cases on a contingency fee basis. This means we cover all the costs of preparing your claim for settlement or litigation, and you only have to pay for our services if and when we secure compensation for you. So no matter what your present financial circumstances may be, if you have valid legal grounds for a claim, you can afford a train accident attorney in Rancho Cucamonga. If you would like to learn more about hiring Fernando D. Vargas as your train accident attorney, please call 877-982-0707 now and request your free initial consultation.